WHY 500mg? Our 500mg CBD tincture is our most mild dosage – and yet provides benefits that regular users love. All the good stuff without a super-strong concentration. 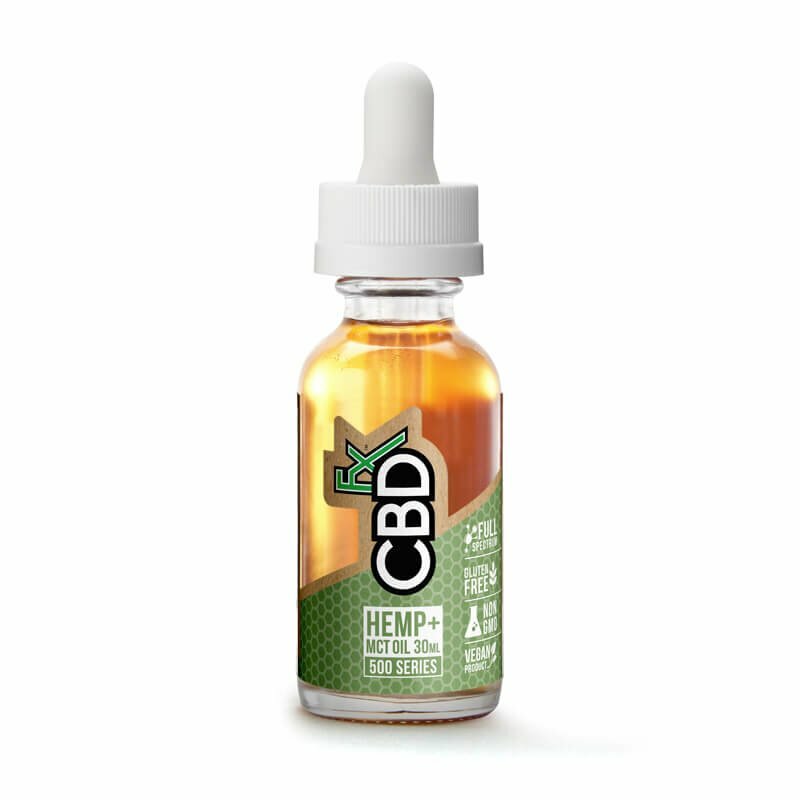 THIS PRODUCT IS PERFECT FOR YOU IF: You want the impressive benefits of CBD but through a milder dosage strength — or are new to CBD and still figuring out the right dosage for your body and want to start with a less-concentrated formula. WHY CBDFX? Our CBD tincture is the best available. It’s 100 percent vegan and all natural. Our CBD tincture is also a full spectrum CBD, so it provides all the healing compounds that naturally exist within the cannabis plant. It comes from plants grown organically at the world’s best farms in Europe. That’s right, we’re organic. That means no harmful chemicals and no filler ingredients. Our CBD oil tincture provides nutrients to nourish the body (including key fatty acids, amino acids, and vitamins). ANY SIDE EFFECTS? This is an all-natural product, and you can expect zero to minimal side effects, including no psychoactive effects. HOW DO I USE IT? Follow label directions. Start with a small amount (perhaps one dropper-full) and gradually increase until you find your perfect dosage. For best results, place under the tongue for 60 seconds before swallowing. As Tincture Drops: 1 full dropper, taken orally or added to food/beverage. I’ve never tried CBDfx 500mg CBD tincture. What can I expect? That’s right — our CBD tincture comes in three dosage strengths (500 mg, 1000mg, and 1500). It may take some time to figure out which level is best for you, but generally, 500mg is a great place to start – and many people swear by the effectiveness of our 500mg CBD oil tincture. “It works remarkably well,” Preston B. says. “I think 500 is my sweet spot. I already purchased a second bottle.” Laurie B. says “It’s an amazing product!! Got it for my husband for a Christmas gift, and he loves it!” Katie C tried other brands but loves this one. “I was super skeptical at first, after not getting much benefits from lower doses of other brands,” she says. “The CBDfx 500mg series is really nice! It helps to create a good sense of well being, and I find it calming.” Donna says she loves the products. “I’ve been using the 500mg CBD oil tincture from CBDfx for the last month. It has helped with my inflammation and chronic pain. Thank you for this product. Does CBDfx 500mg CBD tincture work for anxiety? 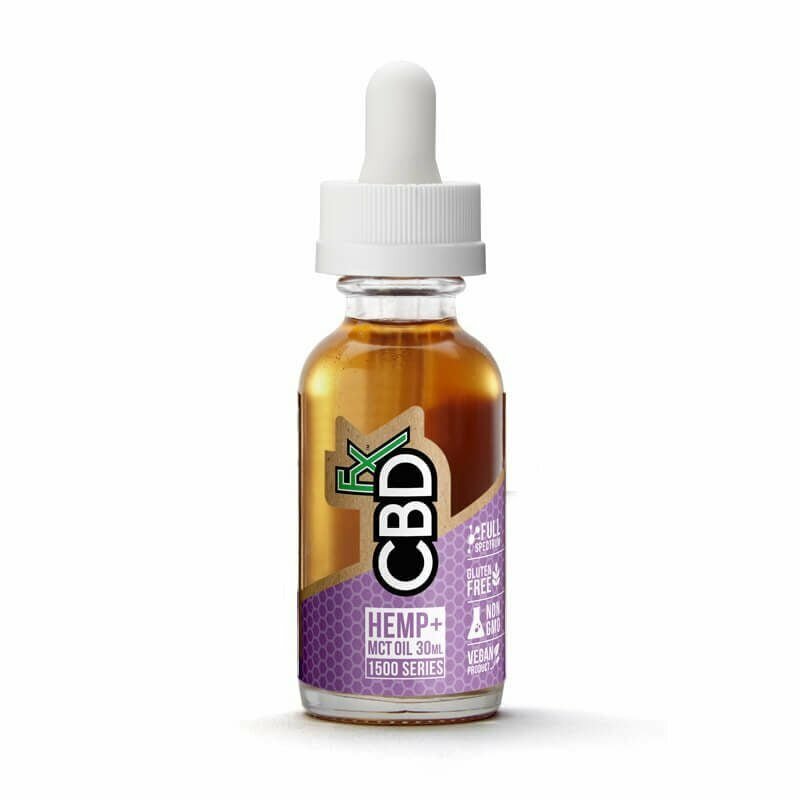 Can CBD oil drops be vaped? This particular bottle of CBD drops is best taken as a true tincture: just a few drops sublingually (under the tongue). If you prefer to vape your CBD, you’ll probably enjoy our CBD oil products more. On the other hand, buy CBD tincture if you’re looking to orally ingest CBD with the added benefit of healthy MCT oils as part of a daily nutritional regimen. MCTs (Medium-Chain Triglycerides) are fatty acids that your body can quickly and easily break down and convert to useable energy. MCT oil is often recommended for people with medical disorders related to absorption, such as Crohn’s Disease, because of their ability to help your body make the best of the nutrients it takes in. We’ve added MCT oil to our CBD tincture primarily to ensure you get the maximum benefit from the CBD you’re dosing. Can you use CBD tincture for anxiety? Medical research surrounding CBD is still in its infancy, and so we can’t make any definitive medical claims about CBD’s effect on anxiety. However, we can confirm that anti-anxiety (anxiolytic) effects are one of the main reasons people currently purchase CBD products, and it’s one of the primary focuses for researchers investigating the potential palliative uses of CBD. If you’re interested in using CBD for anxiety relief, do some research (and speak with your physician to ensure it’s appropriate for you), then try it yourself to see if it works for you! Can you use CBD tincture for sleep disorders? We’re still in the early days of understanding the science behind how CBD interacts with sleep disorders, and medical research has not reached a definitive conclusion about CBD and sleep. However, a common reason CBD is purchased is to aid in users’ treatment of sleep disorders. There is a wealth of ongoing research and anecdotal evidence to suggest CBD’s potential benefit to people suffering from mild to moderate sleep disorders. Is CBD + MCT oil used for ketosis / as part of a ketogenic diet? One of the main reasons MCT oil is used on its own as a nutritional supplement is to keep your body healthily absorbing all the nutrition you throw at it. A side effect of this is to keep your body in “ketosis” — essentially, a metabolic state where your body gets energy from fats instead of carbs. This promotes a healthy metabolism and has been linked in some studies to healthier weight and body composition. When it comes to your daily CBD intake, it doesn’t get much easier than a few drops of true hemp CBD tincture under the tongue. It’s an ideal way to administer a potent, extra-absorbent dose of full spectrum CBD oil that’s full of beneficial amino acids, terpenes, and cannabinoids. We’ve blended our CBD hemp oil drops with MCT oil, making this tincture an excellent way to promote a healthy metabolism while you’re absorbing all the beneficial compounds from the CBD oil. Derived from coconuts, MCT oil essentially helps you absorb and retain the nutrients from everything you eat and drink. By ingesting MCT oil along with your CBD tincture, you’re improving your body’s chances of using every bit of nutritional goodness from the CBD itself.